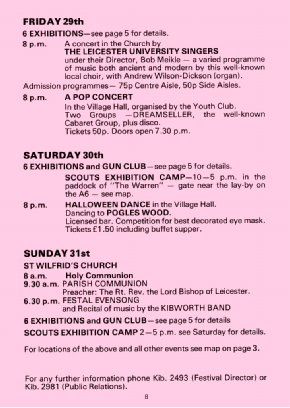 A landmark festival spanning nine days was held in Kibworth in 1976. This present article provides a brief festival overview and then a photographic record of the local history exhibition. The foreword to the souvenir programme states that the festival had two main objectives. Firstly to celebrate the Golden Jubilee of the re-formation of Leicester diocese, and secondly ‘to foster a deeper sense of belonging among all the people in the village’. 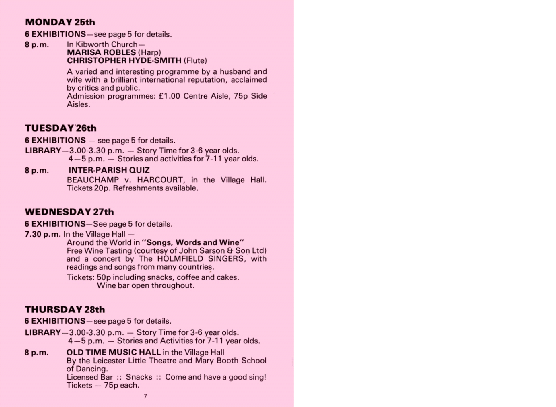 The programme went on to give a short illustrated history of Kibworth Beauchamp and Kibworth Harcourt. 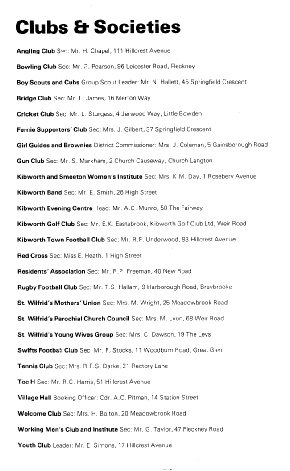 Clubs and societies current at that time were listed. 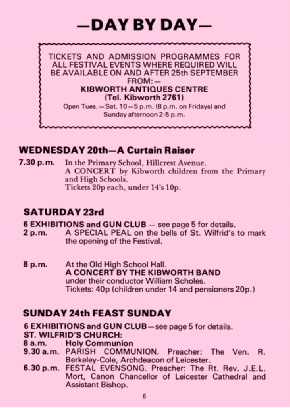 Kibworth’s festival ran from 23rd to 31st October 1976. 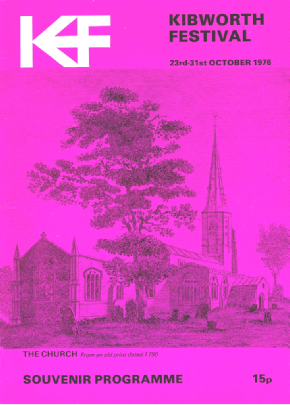 The programme (selected pages shown in this introduction) gave information on venues and times of a variety of concerts, special services and exhibitions available. These events attracted large numbers of visitors, both local and from further afield. Most folk commented enthusiastically about this splendid week of engaging with our heritage and present day neighbours. Questions posed later included: Couldn’t this be repeated from time to time? What about a permanent local museum? 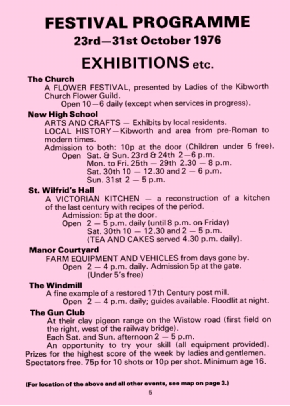 Amongst the exhibitions was a very commendable one on Kibworth’s history; this was open every day at the High School in Smeeton Road. The black and white photographs following this introduction offer a tour around that exhibition – with occasional glimpses of people visiting at the time.